Having completed Becoming and with only about a month left of after school programming, we decided to work on a short project that we knew the Junior Viewfinders would really enjoy. So, we picked a theme that we were certain they liked: emojis. 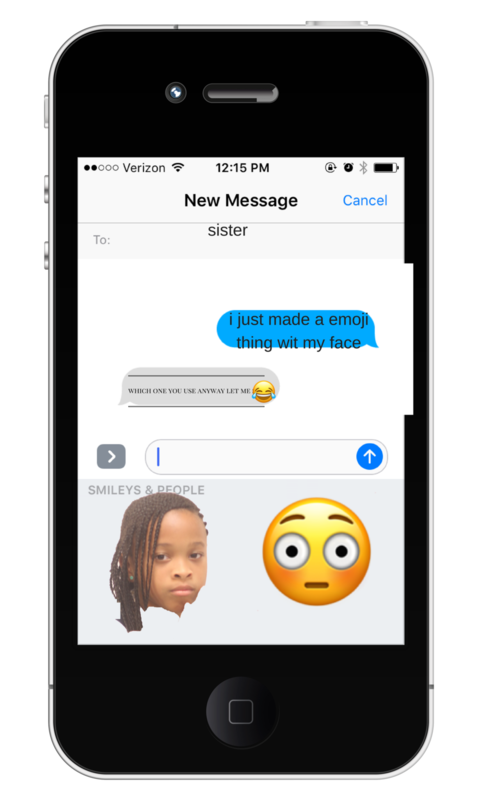 The Jr. Viewfinders are constantly using emojis on Snapchat and Instagram, and they were all a little obsessed when we brought in emoji stickers for them earlier in the year. 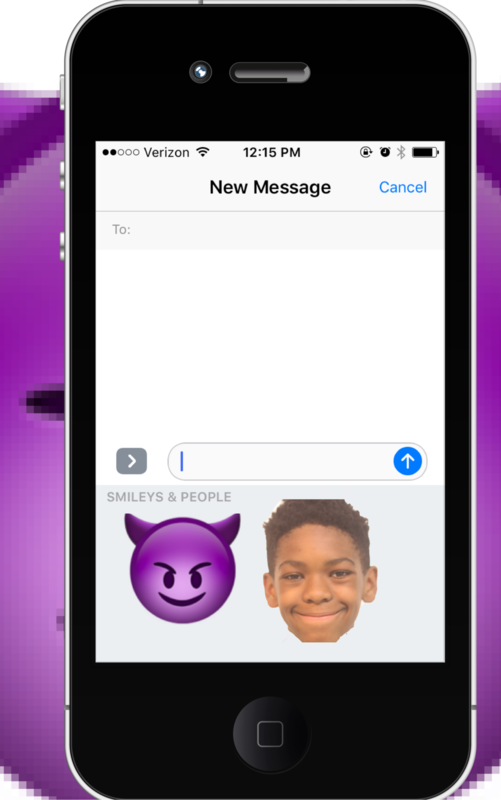 The first part of the project involved digging into what the emojis really were. 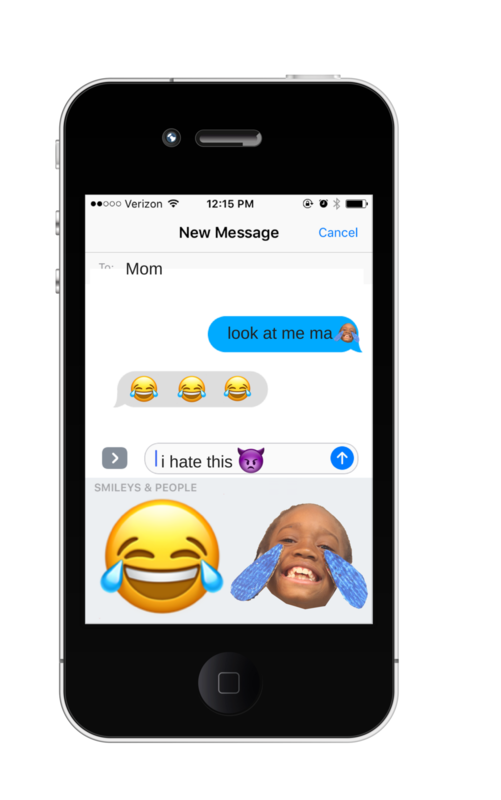 We looked at a bunch of emojis and we asked how you would describe that in just a few words. This ended up being a little more interesting than we'd expected, as it proved pretty challenging to really capture some of the emoji faces. 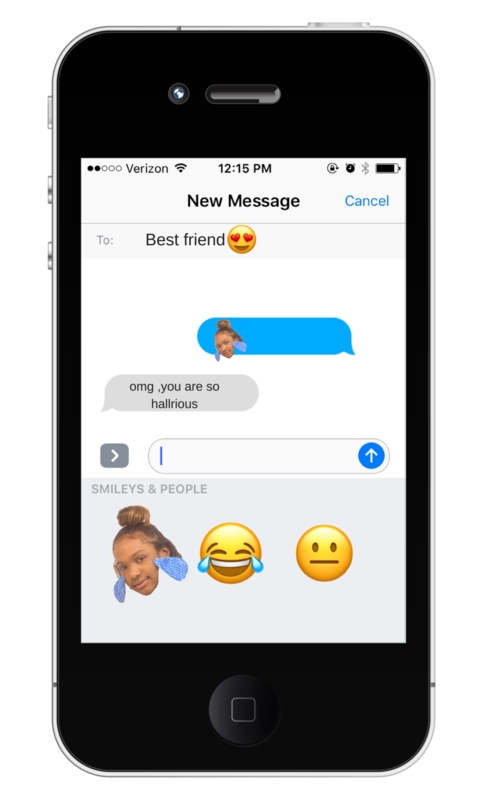 Then, each youth picked three or four of their favorite emojis, ones that they would try to replicate. We also made some props so that certain emojis like the heart eyes, the crying with a tear drop, and the devil with horns ones could also be replicated. Next, each youth imitated a few emoji faces and we took up close portraits of them. Here are some great ones! Some of them are pretty obvious, but others might be a little trickier to figure out. 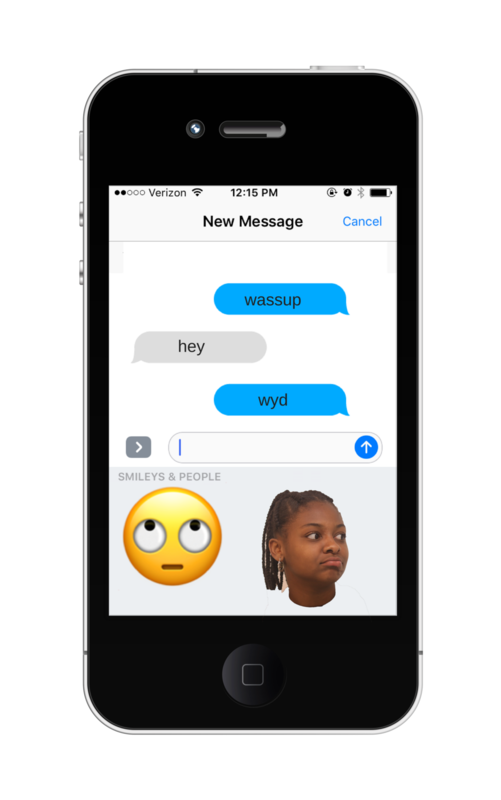 The second part involved using Photoshop and Canva to create fake text messages conversations. The youth used skills they'd acquired earlier in the year to cut out just their faces from their portrait so that it truly resembled an emoji. 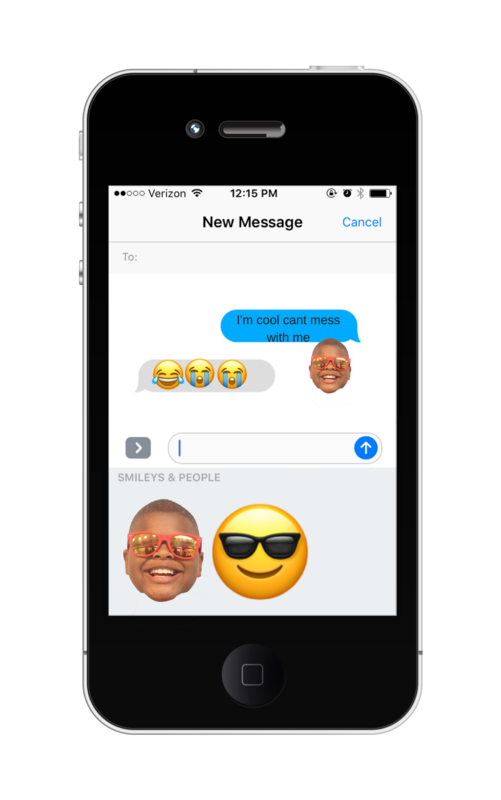 Then, using some templates we'd set up for them, they created little fake conversations, using their own faces as the emojis! Check it out. For the final part of the project, we also returned to an activity we'd done earlier in the year: cyanotype. Last time we tried cyanotype, it was winter and the sun wasn't strong enough to make the process work. But now that we were on the verge of summer, we decided to try it again with their emoji portraits. It worked much better this time! The prints weren't perfect, but you could really see their portraits. However, we put them up in an exhibition, and after a few weeks they'd almost completely faded...which isn't supposed to happen. We think that may be because we didn't rinse of the ink after the prints were finished being exposed, so it continued to expose. Remember to rinse off the ink with water after the prints dry if you ever try this activity in the future!